Limousin, in central France, has been known for great wine production from the Middle Ages. Although this region has not always been a prolific producer, the area is currently enjoying a recent renaissance. The wines of the area are not very well known, but they are of excellent quality and sought after by connoisseurs of the finest wines. Weather and the phyloxera virus, both causing mildew, called a near halt to the industry in this region for centuries. However, a group of local farmers decided to reignite the industry by replanting the vineyards – since 1986 wine production has been back on track and now there are some excellent vintages coming out of Limousin. The fine wines from this area are rare and often expensive – but are coveted for their fine bouquet and long finish on the palate. 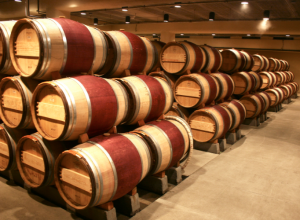 The rural region also produces oak barrels that are used throughout France for fermentation. These provide the wine with a very unique flavour. Mille et une Pierres is an excellent brand formed by a group of local farmers who started out with just 20 vines. Now they are producing a cool 180,000 bottles per year. Vin Paillé is an excellent wine with each bottle taking 2 years to produce. With a distinctive gold colour, this wine is produced with a freeze drying technique – the grapes are left to dry on a straw bed for several months – that is taken from the middle ages so is rich in history and tradition. Try it as an aperitif with some good foie gras and be amazed! 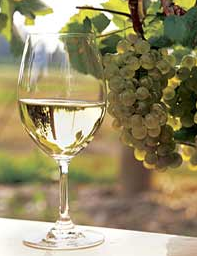 It is a naturally sweet wine from chardonnay and sauvignon; the reds come from cabernet and sauvignon. Verneil Rosé is another wine steeped in history – with techniques dating back to the 16th century. 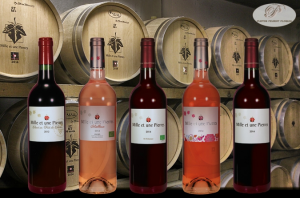 This rosé is growing in production and is currently accredited with the vin de table title. Travel to Limousin And Find Some Rare Wines That Will Tempt And Tickle Your Palate! Limousin is definitely worth visiting for some wine tasting – the vineyards have local history and a great sense of tradition and the tastes will prove a real delight. If you are a connoisseur of great wines and want to try some unusual finds from a country that has been well established as a key wine-growing place for a long time, this is the place for you.